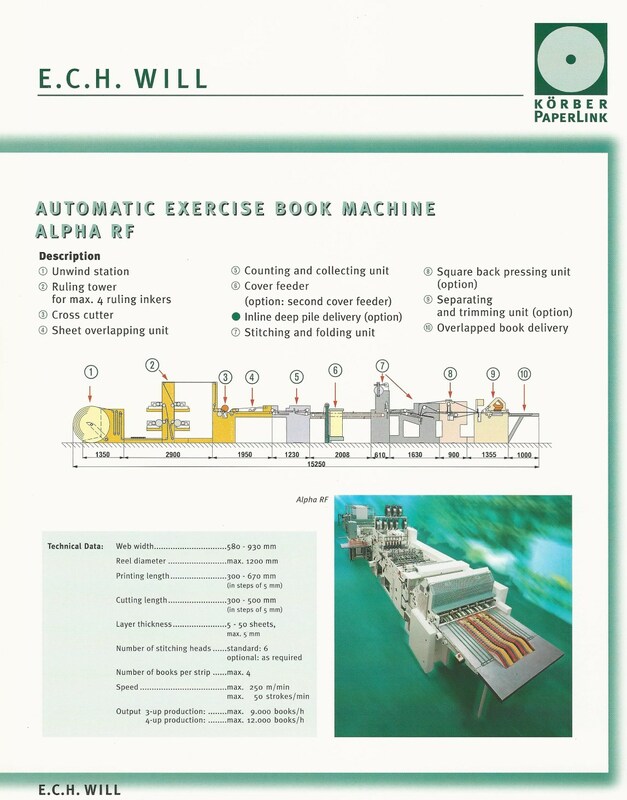 Polygraphica have been informed of the availability of the following ECH Will Alpha Exercise Book Machine that is available immediately. If required Polygraphica can quote to dismantle, load and ship the machine to your chosen destination. Place your trust in using Polygraphica as your preferred used machinery supplier. We have been trading continuously since 1993 and are one of the few machinery suppliers ISO9001-2008 certified. If you require any further information regarding any of the above machines or services Polygraphica provide please do not hesitate to contact Mike Kennedy. Supplier of used machinery. We buy and sell used machinery for a wide range of industries including flexographic printing, rotogravure printing, label printing and converting, paper bag and sack production and tissue converting to name a few.